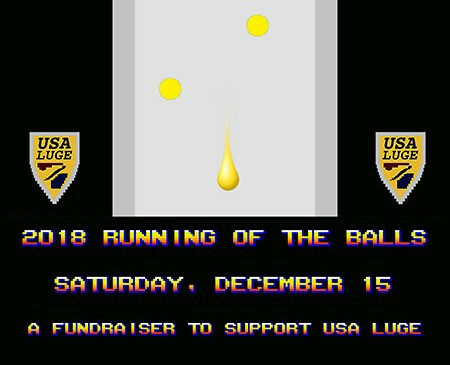 USA Luge will once again hold its traditional charity event, the Running of the Balls (ROTB), at the Luge World Cup event in Lake Placid on December 15. Each year since the event was formed it has raised over $10,000 (£7,800/€8,800), with fans paying $10 (£8/€9) per ball to enter. The owner of the last ball to finish will also receive a prize, with the entire race covered by large screens on site, run by the International Luge Federation. It will also be streamed live on the Olympic Channel and on USA Luge’s website. The winner will receive a cash prize of $500 (£392/€440) plus a Yetti backpack, Timex watch and USA Luge t-shirt among other things. Last place will be given $100 (£78/€88) and a tee-shirt. The men’s singles and doubles World Cup events will take place before the ROTB, with the women’s and sprint competitions scheduled for the following day.